Anchor Baby – Great Trick Chinese Pull Off! How do you force the Hong Kong SAR government to do something? As a Chinese woman demostrated today at the Immigration Office – Behave like a rascal! Anchor babies should not be given permanent residency. No one who come to live in Hong Kong can get that without staying in HK for over seven years. Why were these anchor babies automatically granted citizenship and permanent residency because they have yellow skin and black hair? The government surrendered in five hours and issue her daughter a HK birth certificate! This means she can enjoy all the benefits Hong Kong citizens can enjoy because they or their parents pay tax! 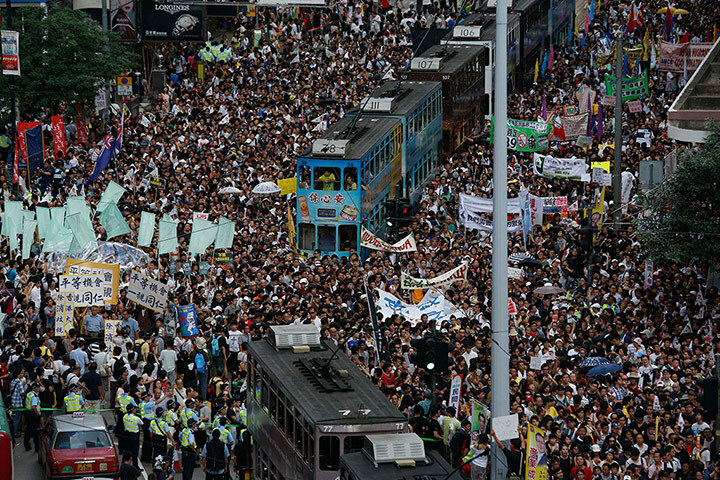 Remember all the protests Hong Kongers participated over the past 16 years? Have we got anything we demand? Absolutely NOTHING! Next time, when Hong Kongers protest, we should just lie down on the ground and refuse to move until what we demand is satisfied. Oh! Wait! If Hong Kongers protest and refuse to cooperate with the police, they will issue a warrant and you can become a wanted person for 2 years. Or, the police will arrest and charge you for Violation of Public Order! 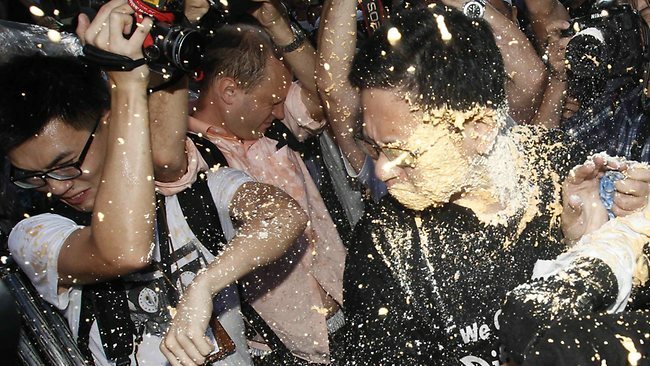 In a nutshell, Hong Kongers are the inferior race (or probably minority) in Hong Kong – if the Chinese (from China) want to do anything they simply do it, and will never face any consequences, but if you are unfortunate enough to be a Hong Konger? Sorry, tough luck! A number of independent groups of people began the discussion of the 1st January 2013 anti-CY-Leung-demonstration a couple of months ago, more and more people and groups join this discussion and it’s believed that a significant number of Hong Kong citizens will be going onto the street to demand the current Chief Executive of Hong Kong to step down. Some so-called politicians and parties joint and are currently trying to claim this protest. This is exactly why we should not rely on the politicians. 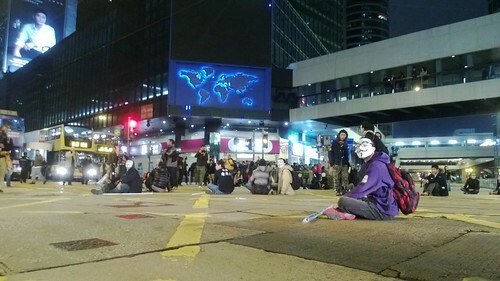 They didn’t start this, they’ve been sitting back to watch how the people’s anger over the existing Hong Kong government unfolds. The politicians and some of the pan-democrats are either openly or secretly pro-Peking and neglects the well-beings and welfare of the people in Hong Kong. They didn’t want the current government to be overthrown, because without the angry and discontent of the general public, they will have no more bargaining chip to continue having a obscenely high-paid job. The preset objective of each rally organised by political parties in recent history is to “get people on the street and have a bit of shouting and then peacefully dismiss”. Anyone would know, peaceful demonstration will not grant the people anything they ask for. The government knows and they understand the fundamental weakness of Hong Kongers – they all need to have a job to keep themselves and their families alive. A bowl of rice/ a loaf of bread is more important than freedom. To me, the theme of the upcoming demonstration is useless. Even if CY Leung steps down, what’s going to happen? The Peking (Beijing) government will “elect” (hand pick) another person, with the title of “Chief Executive” to execute orders from them. Basically, the people calling this protest is barking up the wrong damn tree. The key here is to completely abolish the existing system – One Country Two Systems where One Country sits above Two Systems, meaning the system Hong Kong had been working so hard to build and defend cannot be freely executed unless the China government agrees and allows. This is something recently has been spoken out in the public by a number of China government officials. Separation of executive, legislative and judicial powers has long been the core value of Hong Kong, and allow each of these power to function effectively whilst none of them could enjoy the absolute power Not to mention there are ICAC and the Ombudsman to monitor all the government departments). China government has been repeatedly violating the One Country Two System model (by interpreting Hong Kong Court’s judgement, directing the executive power in Hong Kong). There is no need to further reason why the so-called “System” is not fully implemented – it’s just a glorify term where no body respects, particularly China. Time and time again, people said “we need to have universal suffrage”. It’s not going to happen as long as China is still has sovereignty over Hong Kong. How could a dictatorship allow some of its people to have freedom and democracy? It threatens the dictator and could potentially overthrown the dictatorship completely. I hope that on 1st January 2013, Hong Kong people will all be awakened and brave enough to call for independence. All revolution comes with a price, but no price is bigger than the loss of freedom, dignity and honour. We must not give up. People laugh and say Hong Kong is too small, they say people rely on China on all aspects. If you read history and statistics, you’d know Hong Kong had been supporting China for many many years. All the food, water, and daily supplies were PAID for – all fair and square transactions (some are unfair, actually, for example, water – Hong Kong paid substantially more than others in China for water from the same source). How did China’s companies get access to international capital? Through Hong Kong. How many of the listed China companies made a huge profit by going IPO (to capture a handsome amount of cash) and delist a few years later at a massively reduced price? Who’s supporting? Who relying on the other?